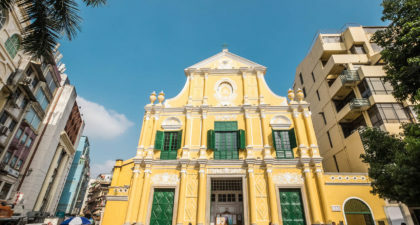 Situated minutes from Senado Square, St. Dominic’s Church is the first Dominican Church in China. 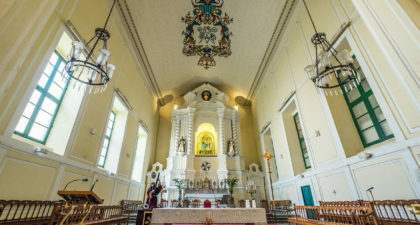 Built from wood in 1587, the Church was renovated in 1997, with the new addition of a miniature museum. 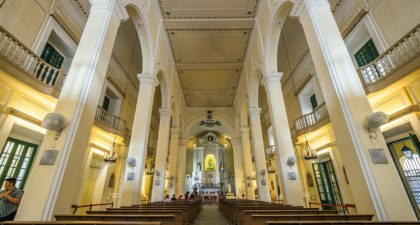 The building features a typical Basilican plan and interior design elements of Baroque influence. The museum also boasts a number of religious art pieces from other Catholic orders. The Church integrates the worship of Our Lady of Fatima in its service. Also, to honour Our Lady of Fatima, the Church maintains their tradition of annual processions through the city every 13th of May. Visiting the church is a wonderful way to take in the Church’s distinct architectural style. 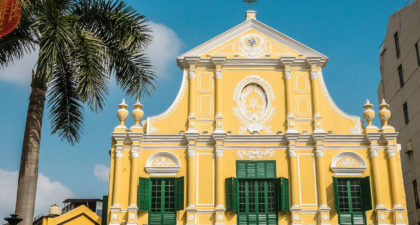 You can even explore the impact religious building has had on Macau’s history with Catholicism.